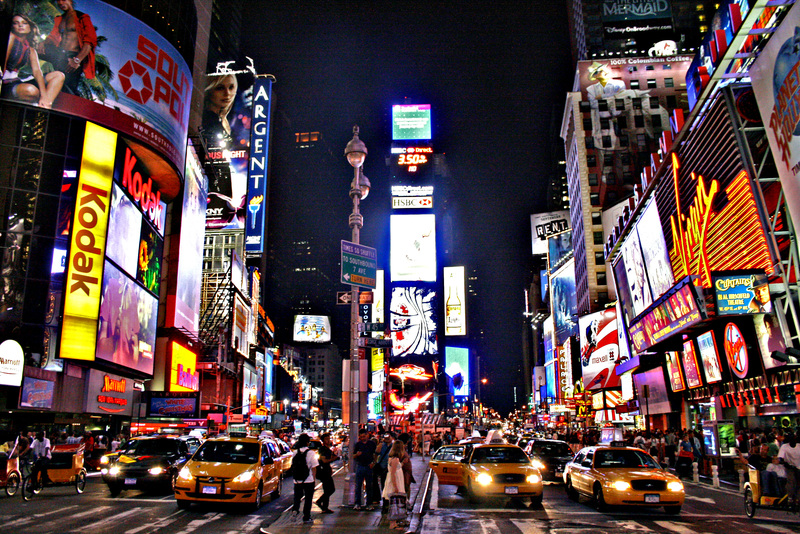 Media facades gained their reputation and global popularity largely thanks to the famous Times Square in New-York. 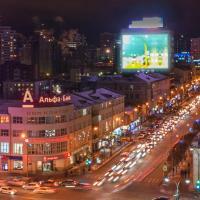 Bright neon facades started to appear on it in mid-90s and was designed to refine and put a beginning to a “new life” for one of the most decadent and dangerous districts of the city at that time. Today Times Square with its numerous theaters, bright neon advertising and TV-style information signs is one of the inherent symbols of New-York's hectic life. 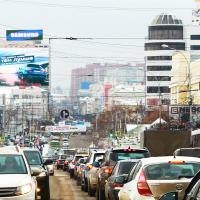 That is probably the only district of the city where its dwellers just have to exhibit bright advertising media. 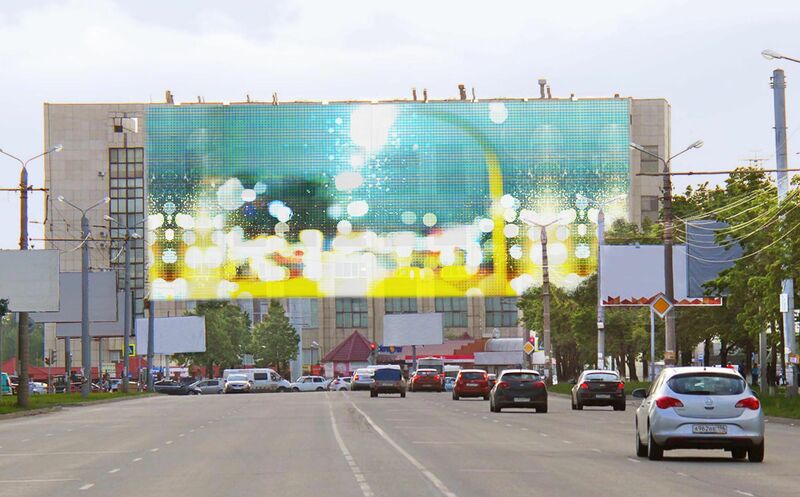 Officially media facades on Times Square are called spectaculars and still a grater percentage of outdoor advertising in the world and now in Russia moves exactly into this format. That's not only because the digital format is brighter, more readable, more interesting and more attractive for the advertising audience. There are other – economic and technical – reasons for that. 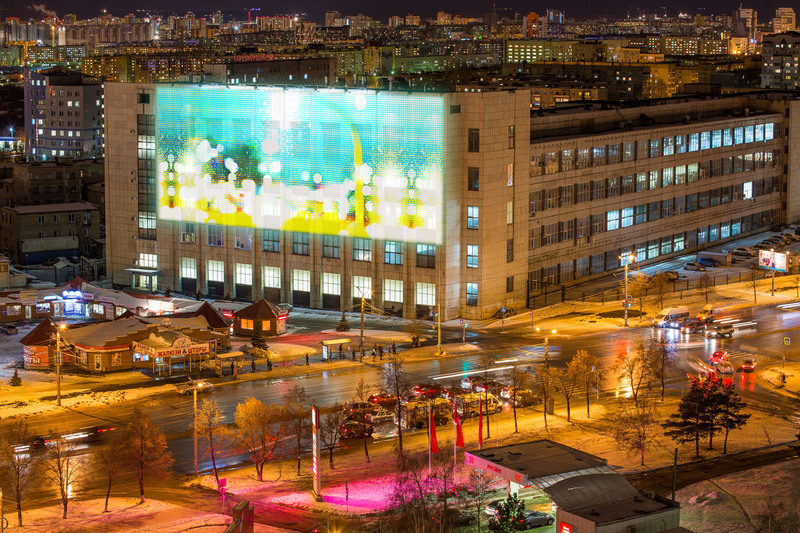 The components of a media façade are LEDs (semiconductor devices which convert electric current directly into light emission in various colors which are attached to each other and to the façade of the building using a special technology thus forming a giant “canvas”. Depending on the attachment technology, media façades are divided into three types: framed, frameless and cluster. 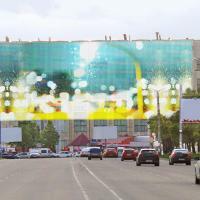 Frameless media façade consists of tubes or rails where LEDs are installed. 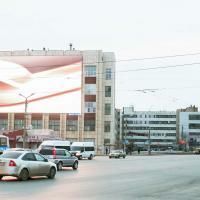 Framed media facade consists of a frame where rails or tubes with LEDs are installed. There is also a type of a framed media facade where LEDs are installed into its frame by surface mounting. 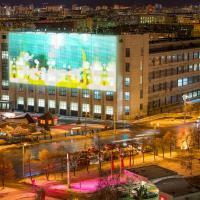 Cluster media facade is a construction consisting of several clusters containing LEDs inside. Speaking about advantages of any of the above technologies it is hard to single out one type of structure, everything depends on the possibility of installation and the set technical tasks. Opinion of technical specialist of MAER GROUP: “We use framed media facades with rails. ”We believe that this is the best type of a media facade which allows to simplify service maintenance of the structure. Such type of the structure allows to disassemble any components which can bread down during operation”. 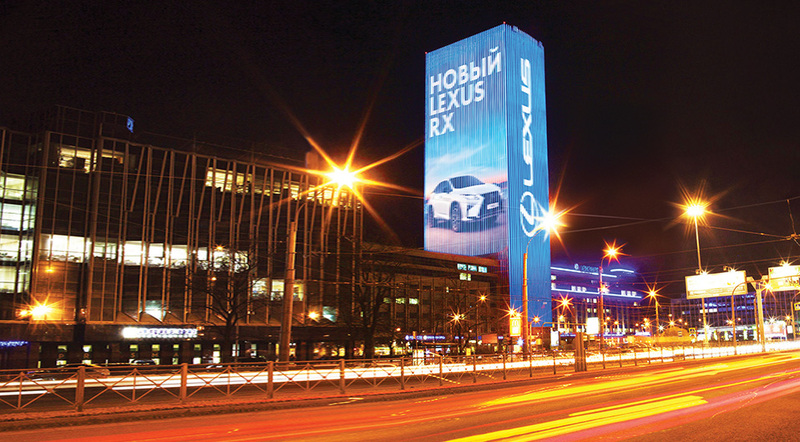 Specialists explain the high advertising efficiency of media facades as a type of advertising digital medium by several factors, thanks to which the synergy provides an outstanding result by marketing indicators. 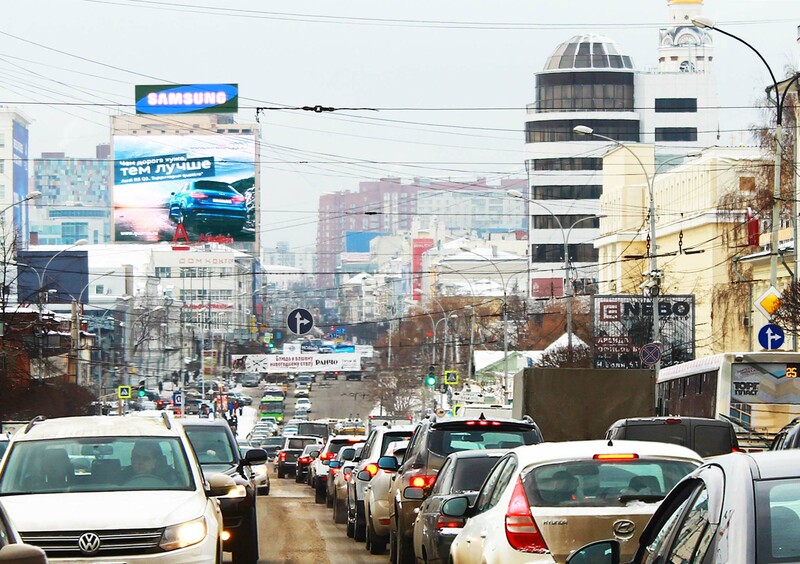 The first – the number of advertising messages on one structure within the time period is undoubtedly more than on a traditional billboard. Often that becomes a sweet spot for multibrand companies which can optimize their marketing budgets by using a media format. 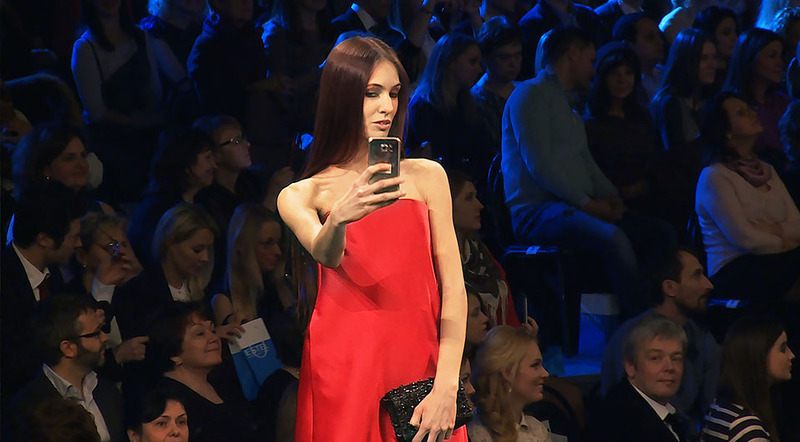 Second – that is, actually, the main advantage of a high quality digital format – communicating the advertising message in a video format. That is, a dynamic HD-image is transmitted on a media vehicle instead of a static image. A full-fledged advertising video in support of the brand. If the city is at the same time one of the target ones for the brand, the advertising space is affinitive, and the time is wisely selected for the target audience, then indeed the key performance indicators of advertising will satisfy the marketing experts, the sales growth – the brand managers and sales managers. 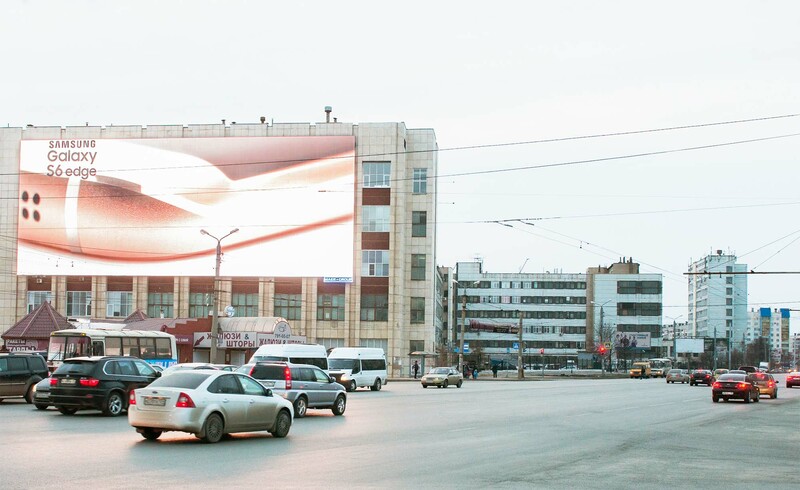 In addition, we all understand that by way of a video format in outdoor advertising one can achieve a greater involvement of the audience, high quality of communication by using special effects and emphasizing information, much wider opportunities for creativity and communicating the image of the brand. 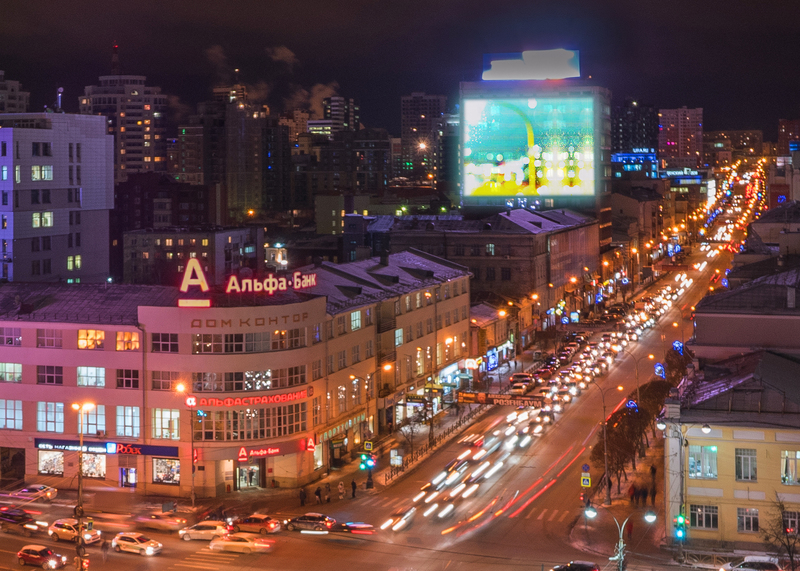 MAER GROUP’s clients say that another advantage of media facades is the possibility to track transmission and the ground in real time. We provide a service of online-transmission of the placed advertisement thanks to which the advertiser can monitor the airing, the quality of picture and the traffic. We are sure that such service will make our cooperation even more comfortable and transparent for the client.